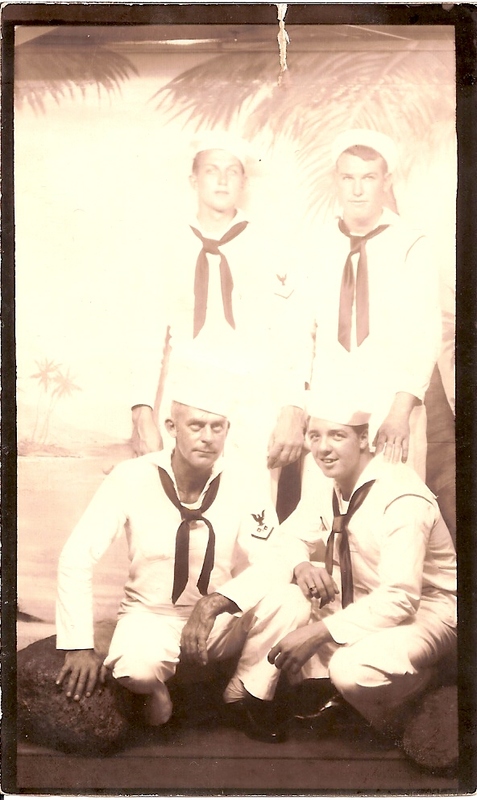 Dad (back right) with some of his shipmates. My dad, who’s 93 now, is a veteran of World War II. 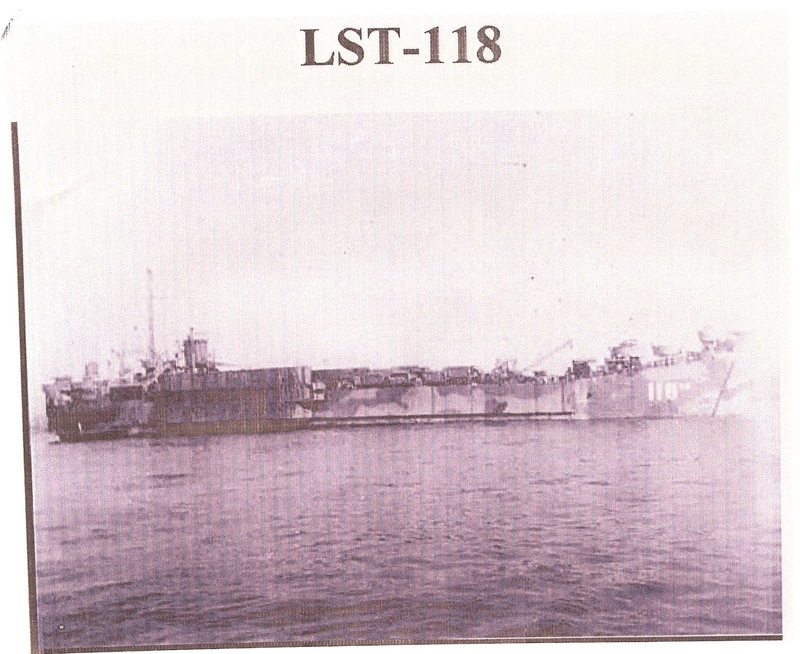 He volunteered for the navy in 1943 and spent the next three years in the Pacific. He was only seventeen at the time and had never been out of Texas before, except for a brief trip to Oklahoma City, so even though he didn’t suffer the great trauma so many of our veterans of all wars have, suddenly being halfway around the world from home for three years was not easy for him. And, since he is the youngest of ten children, I’m sure it wasn’t easy for his worried mother. These days, though, especially around Memorial Day, he gets a lot of handshakes and thank yous and sometimes an especially nice person will pay for lunch as a gesture of gratitude. He never says much about it, of course, but I can tell it makes him very happy to be remembered even in these small ways. But sometimes, for various reasons, some of ways people react when they notice his LST-118 WW II ball cap are more memorable than others. One of the ships Dad was on. He was a gunner's mate. This year, Dad and I went to a local steakhouse for lunch the day after Memorial Day. Not long after we were seated, a family with three or four boys in their mid-teens was seated a few tables away from us. I didn’t particularly notice them as we ate, but as we were leaving, I was helping Dad negotiate a path through the tables and out to the front door, and all of a sudden, one of the boys from the table near us bolted past. I steadied Dad and told him to look out. Not that the boy ran into us or anything, but Dad uses a cane and I wanted to make sure he didn’t lose his footing. For my part, I just figured the boy was in a hurry and didn’t have time or patience to wait for an old man to find his way out. Dad and I both thanked him. Dad shook his hand and told him how much he appreciated the gesture. We often hear how thoughtless and self-centered “young people today” are. And, yes, many of them are. Many of all of us are. But I’m still smiling when I think of this fine young man, and I’m grateful to whoever has raised him to be kind and respectful. I always try to thank police officers, fire fighters and veterans of all wars when I see them somewhere. This made me want to do it more. It means so much to those who sometimes wonder if their sacrifices go unnoticed. It reminds me how awful it would be if these brave men and women weren’t there during the most difficult times of our lives to do the hard jobs most of us don’t want to do. On this 74th anniversary of D-Day (the June 6, 1944, invasion of Normandy which resulted in the Allied liberation of Western Europe from Nazi Germany’s control), send up a prayer for those who have been willing to serve, suffer and even die so we can be free and safe. And for those of you who remember and who teach your children what service and sacrifice mean, God bless you! Thanks so much for sharing this. It meant so much in our household when I was growing up but I don't hear much about it anymore. Give your dad a big thank you from us!